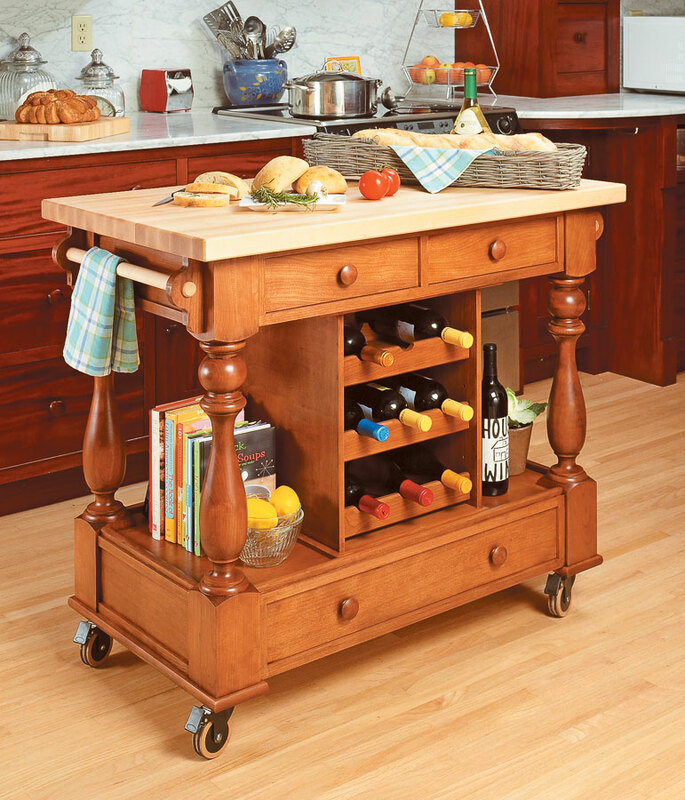 This rolling cart has it all. 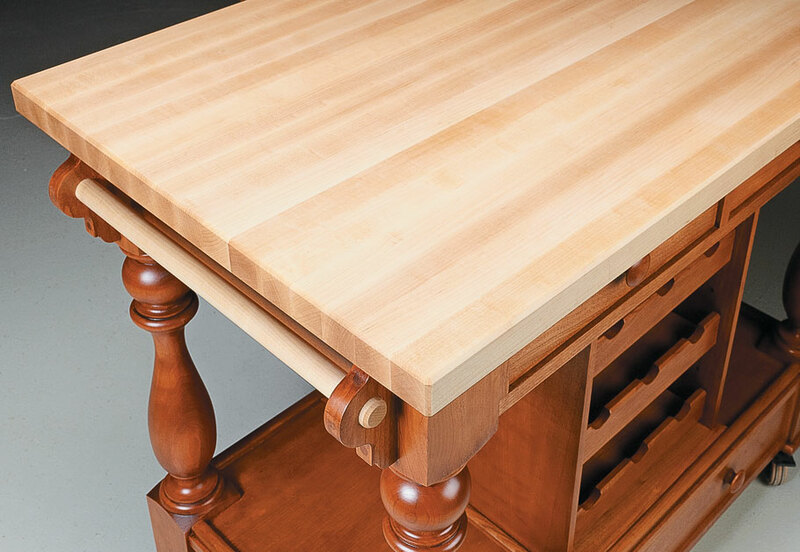 The large top, made from glued-up, edge-grain maple, provides a durable and attractive worksurface. 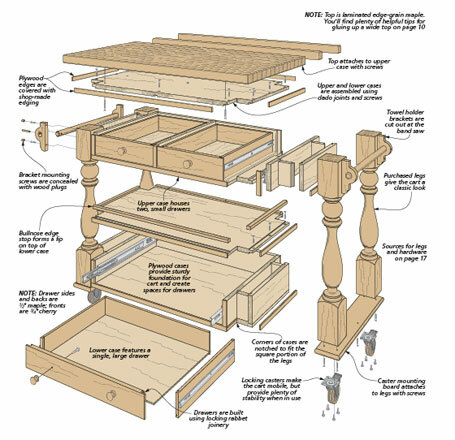 With three drawers and a large space under the top, the cart is also a great place to store a few often-used kitchen items. 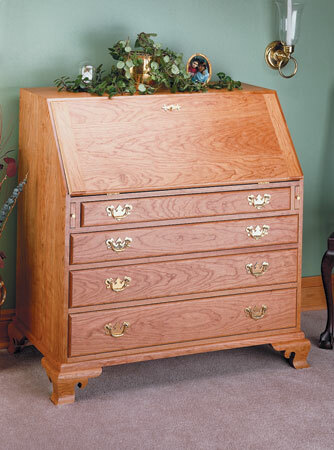 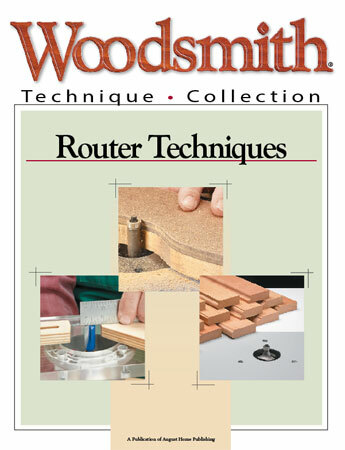 The turned cherry legs came from an on-line supplier, but you can easily turn your own if you have a lathe. 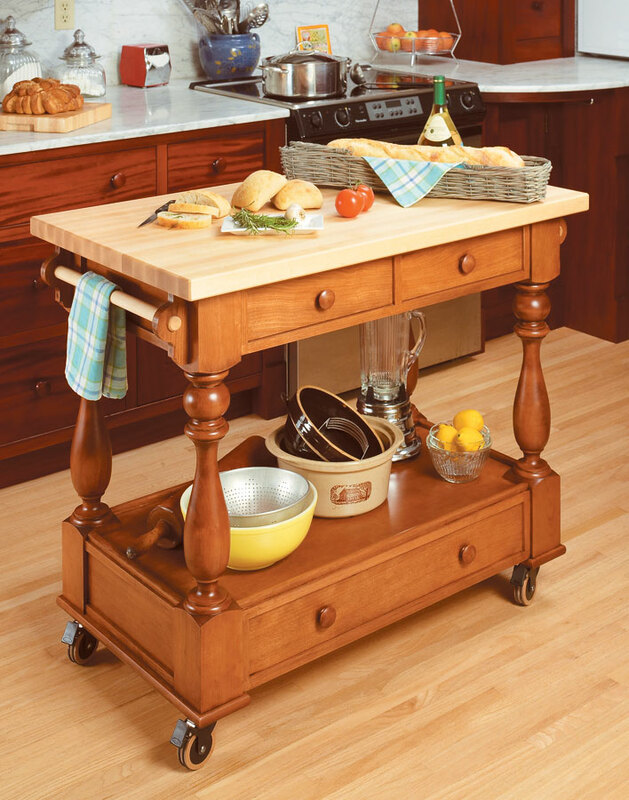 This cart makes kitchen chores a little easier to tackle.